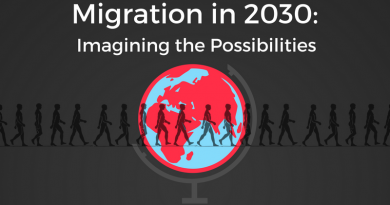 The Fall 2018 Fletcher Ideas Exchange will feature speeches on the theme Migration in 2030: Imagining the Possibilities. Please join us to celebrate the naming of the The Henry J. Leir Institute for Human Security. 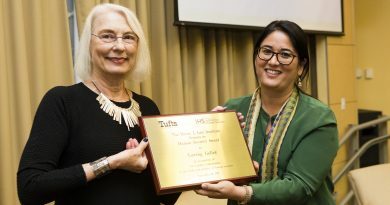 This event will feature the presentation of the Henry J. Leir Human Security Award to Tsering Gellek. Join Fletcher Global Women and the Institute for Human Security as we rise up for women! 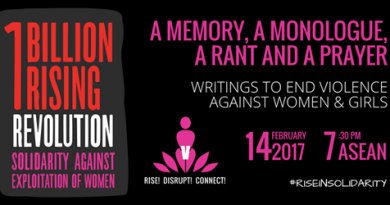 This year, One Billion Rising Revolution is giving sharper focus and visibility to the exploitation of women, and to harnessing even stronger global solidarity to demand an end to violence in all forms. On January 26 and 27, the Institute for Human Security sponsored the Colloquium on Religion and Migration in the Mediterranean and Europe with the support of the Carnegie Corporation of New York, the Office of Inter-Orthodox, Ecumenical, and Interfaith Relations of the Greek Orthodox Archdiocese of America, and the Fares Center for Eastern Mediterranean Studies at The Fletcher School. 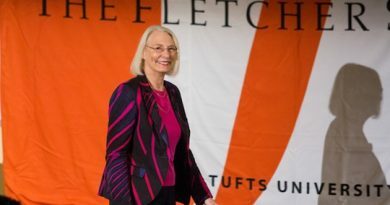 The Fletcher IDEAS Exchange (FIE) is an annual forum for public speaking at The Fletcher School featuring faculty, students, alumni and guests in a TED-style format. The third annual FIE will feature engaging speeches by faculty, students, alumni, and guests around the theme of Bridging the Academic-Policy Gap. 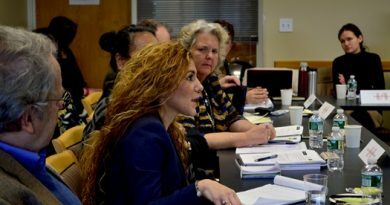 Talks will feature best practices of the academy effectively communicating research and using innovative dissemination strategies in order to highlight the most effective ways to bring research to bear with policymakers. 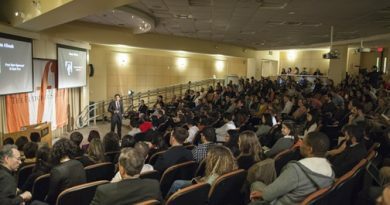 The Fletcher IDEAS Exchange (FIE) is an annual forum for public speaking at The Fletcher School featuring faculty, students, alumni and guests in a TED-style format. The second annual FIE will feature engaging speeches around the theme of a human security approach to peacebuilding – why it matters and what are the challenges. Talks will center on perceptions of legitimacy in the governance of conflict–affected and fragile states, as well as on related aspects of human security, development and peacebuilding. 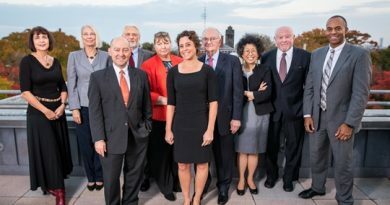 Please join the Institute for Human Security at an evening celebration to welcome the new Henry J. Leir Professor in International Humanitarian Studies, Professor Kimberly Theidon, and to honor the first recipient of the annual Henry J. Leir Human Security Award, Dr. Maria J. Stephan, F02, FG05.